As you forge business connections and build up your professional network, keeping track of what all your contacts are up to can get tricky. Sure, you can read people’s blogs and follow them on LinkedIn, but keeping up with so many sources takes dedication, and even then they do little to inform you if your contacts are up to outside of their online presence. 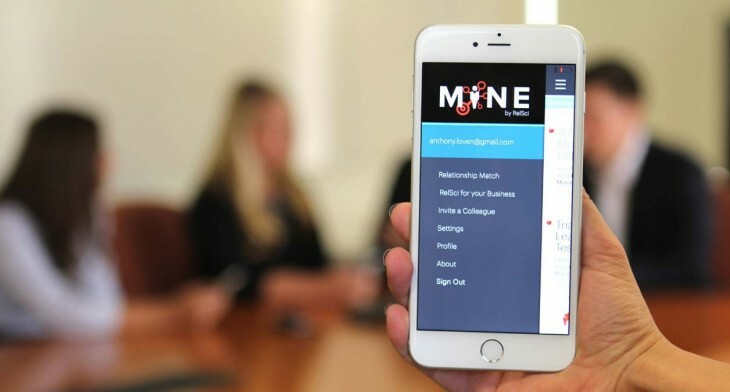 A new iPhone app called MINE wants to make reining in all that information easier. The software is able to aggregate information about both the contacts in your network(using your phone and LinkedIn contacts) as well as the people you might want to join your network in the future. The app was developed by the team Relationship Science [RelSci], which already makes use of MINE’s back-end technology for its own corporate-level business development tools. All of this is meant to help you form a deeper sense of the things the people you follow care about and let you better understand what’s going on in their lives behind the scenes. You won’t only get alerts on your own contacts either – MINE also looks for data from “first degree” relationships. In other words, the app’s algorithm will determine if alerts on people in your contact’s own networks are also worth sharing. Likewise, the app will also give you headlines on actions related organizations may take. It does all of this automatically after the initial set up, instead of making you personalize alerts for all your contacts. Of course, you can also choose to only get updates on specific contacts if you’d prefer. Knowing more about your clients and partners can help forge more meaningful relationships, so it’s easy to see how this could be useful for those looking to strengthen their business networks. If you want to give it a shot, the app is available on the App Store today.